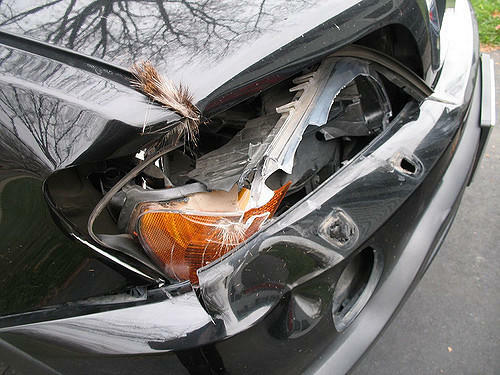 Indiana is ranked 23rd in the country for the most deer collisions. Jonathan Trudeau is a graduate student at Ball State University studying the impact of urbanization on the White Tail Deer population in Indiana. “In a lot of situations where there’s an increase in deer-vehicle collisions, it’s usually an increase in deer population or it’s a change in the environment. You know, a new road gets put in or some road gets diverted to a new area so there’s an increase in traffic in that area,” Trudeau says. According to the study, the most dangerous months for deer collisions are during mating season: October through December. State Farm is urging drivers to take precautions while driving, such as using high beams and paying close attention to deer crossing signs.